All of us know the story of Mary the mother of Jesus. The Scriptures speak highly of her and give us many details about her. She fearlessly stood with her Son before the cross as He died for our sins. She prayed in the upper room with the disciples and witnessed their choice of Matthias to replace Judas. She received the Holy Spirit when He came upon the disciples on Pentecost. The writers of the gospels relied on her as a resource to record the life of Jesus. Yes, she played a pivotal role in rearing Jesus in bringing Him up in the fear of God. Although He existed as God come in the flesh, “He learned obedience…” (Hebrews 5:8), we cannot deny Mary’s participation in teaching Him. 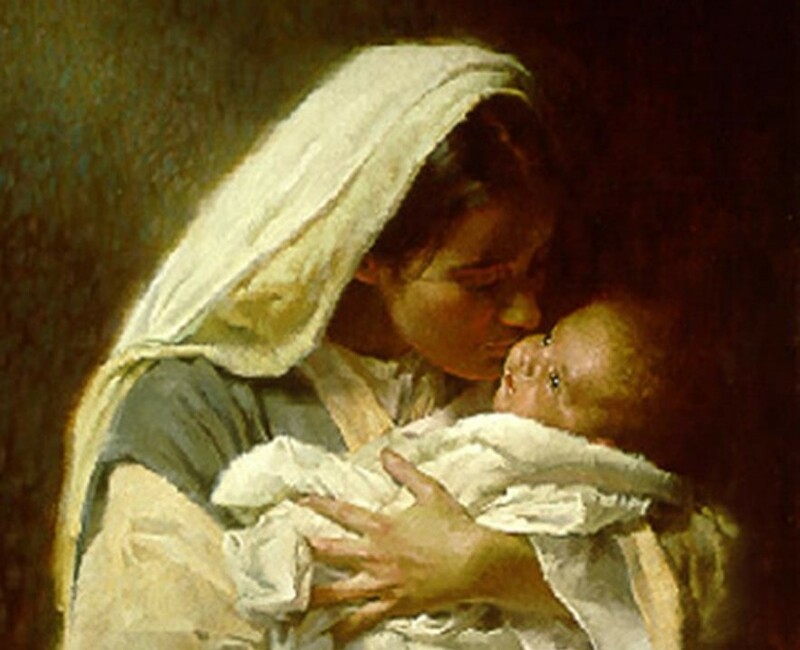 Yet, while she gave birth and mothered Jesus, she acquiesced to His rule over her as her Savior and Lord. Rather, Gabriel declares God’s grace twice to Mary, not with a frivolous phrase, but with meaning and the full weight of God’s promise. God embedded His guaranteed redemption in this grace. God gave Mary genuine and earth-shattering grace. In the same way that Noah found favor or grace in God’s eyes (Genesis 6:8), so also did Mary. The favor or grace toward both Noah and Mary was momentous and historic. It was redeeming grace. Just as God redeemed Noah and his family, He also set apart Mary to bear the Redeemer of humanity. This grace amounted to far more than wishing one well or a reaction of “Bless you.” This grace possessed eternal weight and results, because God’s word has repercussions for eternity. What could prepare Mary or us for such grace? “Behold the maidservant of the Lord! Let it be to me according to your word” (Luke 1:38). What an example for us toward whom God declares grace! God surprised Mary with grace. He also does that with everyone who belongs to Him. God’s grace is not a frivolous declaration from Him such as “Bless you, my Son.” When God blesses us with grace, He does so with purpose, power, and resoluteness. The same trembling and fear came upon him as descended on Mary. He recognized the grace of God with great humility and received it in similar fashion. God’s grace causes such a response. It bends us to the earth and causes us to recognize our state – those in need of the Savior, for it comes with overwhelming mercy and love stunning in our encounter with it. How does grace bend us to recognize our state and simultaneously lift us up with mercy and love? Forgiveness and complete acceptance. Everyone who believes through the touch of the Holy Spirit, receives forgiveness and total acceptance before God the Father. Grace surprises us and catches us off guard in a similar way that it did with Mary. Awe expresses surprise and wonder. Christmas is a time that represents God’s surprising grace that lifts our face to His. Does God’s stunning grace captivate you?